The Refined Geek » The RBA Wants You To Spend, But Will You? The RBA Wants You To Spend, But Will You? I wrote a post just last month that laid out the reasons why the banks would probably not be dropping rates independently of the RBA, even though the current funding climate could allow them to do so. Indeed current interest rates are comparable to when we were in the depths of the Global Financial Crisis however our, and the vast majority of others worldwide, economy is no longer struggling. These are things you don’t usually see going hand in hand because when times are good people like to borrow and spend which usually leads to a healthy credit market. It seems that punters are still wary of another GFC-esque situation as whilst the economy has vastly improve the desire for credit hasn’t which is quite odd, but nothing to be concerned about in the grand scheme of things (unless you’re a lender, of course). 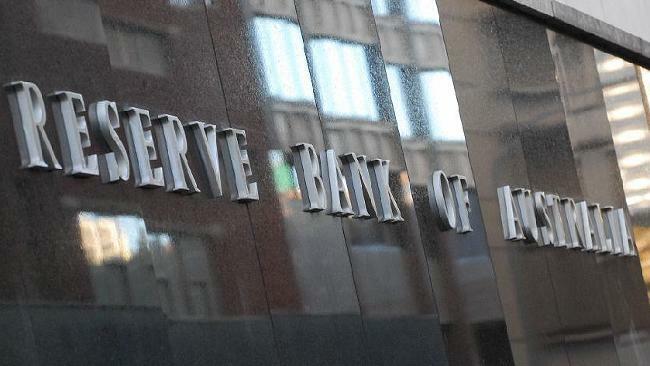 It was for those reasons that many did not expect a rate cut from the Reserve Bank yesterday as all the pressures that prompted past cuts (decline in demand for Australian products, Eurozone Crisis, etc.) have run their course. It came as something of a shock then that they decided to cut another 25 basis points off the current cast rate bringing it to a record low 2.75%, dipping below even the lowest rate available during the height of the GFC. The rate decision release makes for some interesting reading as the reasons behind the decision aren’t the ones I was expecting. The RBA acknowledges that the funding climate has improved dramatically with many of our larger trading partners undergoing periods of expansion. The Eurozone is still in recession although its effect on us is muted, largely thanks to the limited amount of trade with do with them. They also expect investment in the resources sector to reach its peak this year and so part of this rate cut could be a proactive move to encourage people to start investing in other areas before the resources boom starts to tail off. Inflation has remained within their target range being at 2.5% for the past year. However the major factor in cutting rates seems to come from the desire to encourage more spending and moving their savings into more productive asset classes. It’s true that rate cuts take a while to work their way through the economy and the last year or so of cuts is still having an effect. Primarily this is due to relieving mortgage pressure which doesn’t yield benefits quickly but sustained periods of low rates will eventually lead to more consumer spending (as the RBA notes). This rate cut then appears to be more of a shock tactic rather than a long play, hoping to encourage people to either spend more or entice people into taking out mortgages at rates that will likely not be repeated for quite some time, boosting the credit industry. Additionally rate cuts always put a downward pressure on the Australian dollar which will help boost exports. The ideas are sound as historically moving the cash rate downward does all the things that they’re expecting this current rate cut to do. However I’m a little sceptical as to whether it will have the desired effect this time around due to the circumstances we find ourselves in. The numerous cuts over the past 18 months, which were largely in reaction to the deteriorating conditions in the Eurozone, haven’t had the large impacts that they did during the GFC. Primarily this is because of how well insulated we are from said crisis but it also appears that Australian’s have lost their appetite for credit. Whilst its easy to lay the blame at the GFC for this I can’t help but feel there’s something else at play here, something which moving the cash rate won’t do much to alleviate. This whole situation is a result of the weird financial climate we find ourselves in currently. Whilst I might not think the RBA is on the right track with this decision I don’t have any good solutions to the issues at hand because, as far as I can tell, what we have is a crisis of consumer sentiment, not a problem with the funding environment. It’s quite possible that this last dip will be the hair trigger for a major ramp up but I’ll remain sceptical for now as the previous cuts failed to bring that same idea to fruition, even if they were done for different reasons.